Barb passed away peacefully at home with her family on Saturday, February 2, 2019. She was born September 30, 1931 in Philadelphia, PA and was the oldest of 7 children. Preceded in death by her parents, Ruby and stepfather, Luther Copeland; husband of 64 years, Rev. Allen Lewis; and brother, Stanley Harvey. Barb graduated from East Palestine High School and Hannah Mullins Nursing School. She had the spiritual gifts of mercy and helps and spent her life taking care of all who needed support and comfort. Barb loved and devoted her life to her family and children. She also loved animals, traveling, and marathon shopping. Barb was a faithful member of New Zion Baptist Church of Alliance, Oh and Mt. Olivet Baptist Church in Columbus, Ohio. 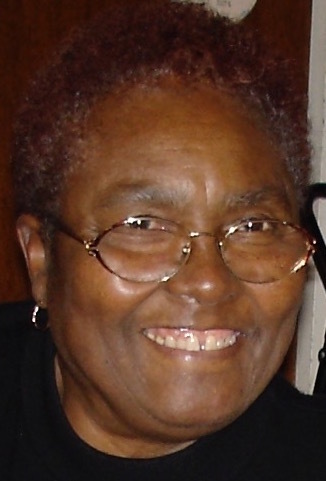 She will be lovingly remembered by her children Bill (Ava) Lewis, Joe Lewis, Debra (Dennis) Broadnax and Gregory Lewis; siblings, Lorraine Thomas, Charlotte (Rodney) walker, Alfred (Ellen) Copeland, Henry (Marie) Copeland and Wilbert (Yvonne) Copeland; 8 grandchildren; 5 great grandchildren; and many nieces and nephews. Graveside services will be held Saturday February 9, 2019 at noon at Alliance City Cemetery. Arrangements by WHITE’S FUNERAL AND CREMATION SERVICES, 867 S. JAMES ROAD, COLS, OH 43227, BENJAMIN F. “BENNY” WHITE, JR, FUNERAL DIRECTOR, (614)947-1123, whitesfh867.com.